In the early hours of Thursday 17th November 2016, the main building at Newsome Mills was destroyed by a terrible fire. The impact on our community has been devastating – three weeks on, we are still coming to terms with our loss. This post focuses specifically on how the fire has affected the built structures at Newsome Mills. The information we’re sharing about the condition and status of these buildings is correct at the time of publication and has been verified with our local planning authority. Please bear in mind that things may change. The entire interior structure of Newsome Mill – including the roof and all the original wooden floors, supporting columns and office partitions – collapsed at 6.08am on Thursday 17th November 2016. West Yorkshire Fire and Rescue Service had 20 pumps working on the site throughout the night to bring the fire under control and to stop it spreading to other buildings. In the morning, the four-storey shell of Newsome Mill was still standing. A site inspection took place on the morning of Thursday 17th November 2016, between the Fire Officer in charge, a structural surveyor from Kirklees Council’s Building Control service, and a member of Kayedem Demolition (acting as the representative of the owner). As a result of this inspection, when the Fire Officer signed over control of the site to Kayedem, the notice given specified that the four-storey walls of the mill must be reduced to a safe height in order to avoid the sudden collapse of the building. There was no remaining internal structure, all the braces had melted in the fire, and the walls were sadly no longer stable. The Newsome Mills Campaign was informed of the decision to demolish Newsome Mill shortly before 11am on Thursday 17th November 2016. This information came from the Conservation and Design group leader at Kirklees Council, who explained that the walls would be pushed in so that the debris would fall within the footprint of the mill, and that the walls would be reduced to the height of the first floor level. With the exception of the damage caused to the North light weaving sheds (see below) this is the procedure that was followed by Kayedem. We were also informed that the works would take place very quickly, under the powers of The Building Act 1984 – section 78 (Dangerous building — emergency measures). Demolition equipment arrived on site that evening and the demolition took place that night. The Newsome Mills site has since been re-inspected by Kirklees Council. The council have given consent for the debris to be removed from the buildings (following a request by the owner), but the method of doing this is yet to be agreed. 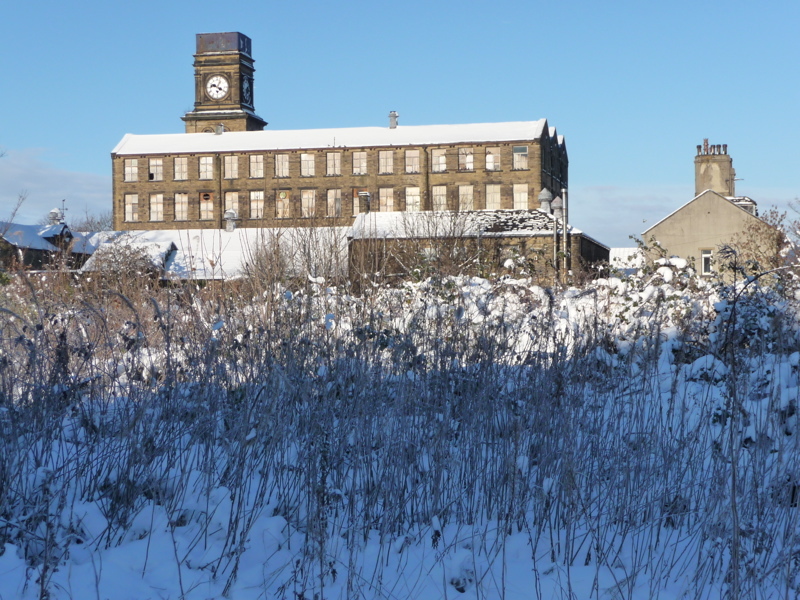 Kayedem claim that the remaining walls of the mill and the weaving sheds are unstable and should be demolished, but Kirklees Council disagree with this assessment. Several courses of stone were removed from the gable-end mill wall at the corner of Ruth Street and Naomi Road (adjacent to the gateway arch) by Kayedem Demolition on Monday 28th November 2016. We believe this work was unnecessary and unauthorized, and we reported this to Kirklees Council, who are the local planning authority. Kirklees Council asked Kayedem to cease work on the mill immediately. They have since expressed concern that Kayedem’s planned method for removing the debris goes far beyond the works that Kirklees Council deem necessary. Kirklees Council’s engineers say there’s nothing to suggest that any structures on the site are unstable at this time. To date, no further demolition or clearance works have taken place. The clock tower is part of the main mill building. It was not designed as a stand-alone structure, but it is stable following the removal of the four-storey mill walls and it has been declared safe by structural engineers at Kirklees Council. The tower is a very prominent Huddersfield landmark and has huge significance for the residents of Newsome and for people who grew up here. Restoring the clock to full working order was a condition of the previously granted planning permission for Newsome Mill. Our campaign, which aims to see all the remaining structures at Newsome Mills retained and well used again, began with the stopping of the mill clock during Easter 2007. Our work will continue. The weaving sheds at the corner of Ruth Street and Hart Street are part of the main mill building. This part of the structure was unaffected by the fire. A large section of the weaving sheds were demolished by Kayedem Demolition on Friday 18th November 2016. We believe that the partial demolition of the weaving sheds was unnecessary and unauthorized and we have reported this to Kirklees Council. Kayedem have stated that these works were carried out at the request of West Yorkshire Fire and Rescue Service, but Kirklees Council have been unable to verify this. Currently, the majority of this structure remains standing, and it has been declared safe by Kirklees Council (with the exception of the overhanging shattered glass in the North light roof, which will need to be carefully removed). Kayedem claim that the structure is unstable and should be demolished, but Kirklees Council disagree with this assessment. The gateway was unaffected by the fire and remains intact. The damage at the apex of the stone arch was caused in 2007 during the initial site clearance. This structure has been Grade II Listed since 1978. The lodge was unaffected by the fire and remains intact. This structure has been Grade II Listed since 2008. The office building was unaffected by the fire in 2016. The fire damage that can been seen to the office roof was caused during an earlier, small fire. The front office wall includes the setting for the Newsome Mills war memorial. The memorial plaque was stolen from the site in February 2008 and was recovered by the Newsome Mills Campaign in March 2008 following a public appeal. The war memorial was then placed in the custodianship of Newsome Ward Community Forum, where it remains today. The office building has been Grade II Listed since 2008. The main section of the coach house buildings on Ruth Street (the former bakery site) is now owned by a company who are based there and who have recently begun leasing some of the space out to other businesses. West Yorkshire Fire and Rescue Service prevented the fire from spreading to these buildings. The coach house has sustained some damage from the fire (including lost skylights, water damage and melted fixtures), but there is no structural damage. The business owners are continuing their work of getting the buildings up and running and we wish them well. Thanks to the efforts of West Yorkshire Fire and Rescue Service, there was no significant damage to The Coach House (private house on Naomi Road), to numbers 2 to 8 Hart Street or to other housing nearby. Some residents are dealing with damage to doors and windows, party due to the fire and partly as some doors had to be kicked in by West Yorkshire Police during the evacuation of the neighbourhood on the night of the fire. The mill ponds are owned by Benjamin Bentley and partners, the former owners of Newsome Mill. On the night of the fire, water from the ponds was used to control the fire and to prevent the fire from spreading to the houses and businesses nearby. The ponds remain the subject of an active planning application (reference 2016/91479) which seeks to completely demolish both the ponds. The public consultation for this planning application closed at midnight on the night of the fire. The nineteenth century mill pond (off Naomi Road) is the oldest surviving part of Newsome Mills. It is a curtilage structure of the Grade II Listed Newsome Mill. For clarity, the land behind the mill (off White Hart Drive) is owned by Panorama Living Limited. This is brownfield land which is allocated for housing in the draft Local Plan for Kirklees (we asked for this land to be designated for housing). The land behind the mill has had planning permission for new build housing for several years, but the planned scheme also included the conversion of the four-storey mill, so this is now invalid. The land at Hart Street (alongside the mill ponds, between Hart Street, Newsome Road and Naomi Road) is the former mill workers allotment site. This is greenfield land which is owned by Benjamin Bentley and Partners. In the aftermath of the terrible fire that destroyed the main four-storey building at Newsome Mills, our community are supporting each other in coming to terms with our loss. Along with many people who live in Newsome or who grew up here, we are heartbroken by the destruction of Newsome Mill, and we’re deeply shocked that the lives of our friends, families and neighbours have been so recklessly put at risk. But what we have seen in the week following this tragedy is an outpouring of affection for our lost mill, and a determination to help each other to hang on to what we have left. We have also seen new friendships forged in the embers of Newsome Mill, and a community spirit that cannot be extinguished. We are proud to call Newsome our home. Residents who coped with the shock of the fire itself, followed by the great sadness of seeing the towering walls of our mill demolished later that same day, have also had to deal with an uneasy wait to hear whether we would lose even more. 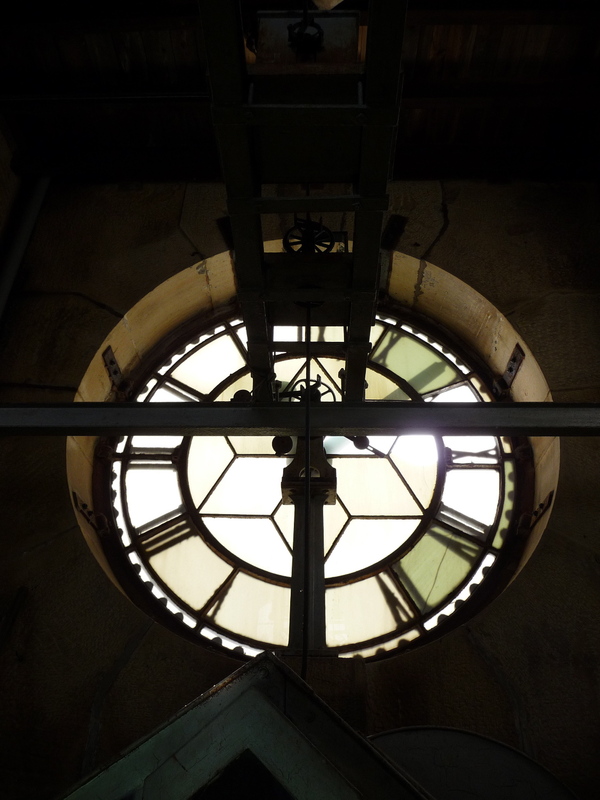 For the past week, the fate of the iconic clock tower at Newsome Mills has hung in the balance, along with the other Grade II Listed buildings that remained standing after the fire. For nine years, members of Newsome Ward Community Forum have been working to protect these much-loved mill buildings at the heart of our community. We began the Newsome Mills Campaign in 2007 after Newsome’s iconic clock fell silent during work to clear parts of the site. Residents were eager to know what was going on and asked for our help. Since then, our community have remained keen to hear their familiar clock chiming again, and we have become greatly concerned about the ongoing deterioration of the buildings. This strength of feeling is demonstrated by the fact that Newsome residents have kept a vigil on the clock tower day and night throughout the week, whilst the demolition equipment has stood ominously nearby. It’s heartening to know that hundereds of people have signed up to the SaveTheClock facebook group created by Helen Kingston, and thousands have sought information from local blogs. People have also been keen to share their memories and photos of the mill, and we hope to collect more of these to make sure that our heritage isn’t lost along with the mill. After everything we’ve been through this week, we were delighted to receive the news from Kirklees Council today that the iconic clock tower at Newsome Mills “does not form a health and safety risk and whilst requiring some work it most certainly does not require demolition.” Repair work will be carried out in the future, which will require Listed Building Consent. This means that all the remaining Grade II Listed buildings at Newsome Mills have now been declared safe. Not only our iconic clock tower, but also the weaving sheds, the gateway arch, the gate lodge and the office building can all stay, along with the surviving ground floor walls of Newsome Mill. We owe a great debt of gratitude to West Yorkshire Fire and Rescue service, not only for saving our families and our homes, but for protecting what could be saved of our local heritage. During our campaign over the years, we’ve dealt with other fires, theft, vandalism, flytipping, threats to destroy important heritage assets on the site and much more. With the help of The Examiner, we recovered the mill’s stolen war memorial in 2008. We secured national recognition for the building by getting Newsome Mill onto the Victorian Society’s list of Top Ten Endangered Victorian Buildings in the country. We’ve had some celebrations and some dark days along the way but, thankfully, we’ve never had to live through a week like this before. It’s been a long journey already, and we know that today is just the start of the many years of hard work that are still to come. But we also know that local residents will support each other in doing it. We know that many people who grew up in Newsome or who have connections to Newsome Mill are full of enthusiasm and ideas too. We need all those people now to help us keep a watch on the buildings and be active in reporting any suspicious activity to the police. We choose to be hopeful. This week broke our hearts, but it didn’t break our spirit. We may feel vulnerable without our mill looking down over us, but the community that grew up around Newsome Mill is still here. And we’re still going to campaign for a future for Newsome Mills. It was the machine that dismantled the four-storey walls of Newsome Mill after the fire. It sat ominously next to the remains of our mill for the next week, watched vigilantly by local residents. We saw it leave Newsome today, leaving our landmark clock tower still standing. Be vigilant – These are Grade II Listed buildings and – if what remains is safe – no further demolition can take place without formal Listed Build Consent, which can only be granted by Kirklees Council. Our campaign team are in contact with the Conservation team and will share any news. No materials can legally be removed from the site. If you see any signs of further demolition or removal of materials, please take the registration details of any vehicles and call the Police. Take photos if you can. Talk to your neighbours – It’s an understatement to say that I’m struggling to come to terms with what’s happened. But lots of us are struggling. We all need to do our best to look after each other, help each other through this terrible time and keep each other informed. Even in its violent death, our mill is bringing people together. Let’s prove that our community spirit can’t be burnt away. Tread softly – There’s a constant stream of visitors to the mill site. We understand that many of you need to come and see for yourself, because it’s hard to believe that our mill is really gone. Please be mindful that Ruth Street is closed in both directions, and there’s no access from Naomi Road through to Ruth Street. It would really help nearby residents if you can approach the mill on foot and avoid bringing your cars onto Naomi Road. Tell the story – Please keep speaking out about this. A great injustice has been perpetrated on our community and on our heritage. The lives of our neighbours, friends and families have been put at risk. We are keen to help the Police in finding witnesses to the night of the fire. Do you know anyone who might have been awake in the early hours of Thursday 17th November? They could help to pinpoint the time the fire was set. And anyone who was in the village at the time could be a vital witness. Please ask around. Shift workers or others who travel to or from Newsome or nearby areas during the night can also help us to keep a watch on our clock tower now. Keep in touch – Helen Kingston has set up a SaveTheClock facebook group. There’s also a Newsome Mill Ponds facebook page. You can get campaign updates from this blog and by following @NewsomeForum on twitter. Also look out for twitter posts tagged #newsomemill. We will be actively gathering your photos, videos and stories of Newsome Mill for use online and in publications. We’ll share some more info soon. I’m so sorry I couldn’t save it. Outline application for erection of 22 dwellings on the site of Newsome Mill Ponds and the land at Hart Street (former mill workers allotment site). Status: Application submitted 6th May 2016. The public consultation period for this application closed on Wednesday 16th November 2016, at midnight. Application refused unanimously in January 2017. Now under appeal. Time to move forwards at Newsome Mills? It’s been three long years (and counting) since the clock at Newsome Mills fell silent. Three years of confusion, worry, hope and despair for anyone who cares about these buildings and their place in our community. Because it hasn’t just been the clock that’s been keeping quiet as the months roll by. We’ve also had the silence of poor communication to deal with – great swathes of time in which owners, contractors, council staff and police officers have remained silent, leaving us residents staring up at our broken building and wondering what the hell is going on. I think it’s fair to say that we probably didn’t expect that. Mind you, we didn’t expect a lot of the things that have happened since planning permission was first granted for a housing scheme at Newsome Mill in October 2006. We didn’t plan for the fires, theft, fly-tipping, vandalism, global economic downturn and the odd earthquake. But we’re still here, and so is our mill. It’s easy to be defiant (after all, we’ve had a lot of practice) but in our frustration we perhaps shouldn’t forget that the owners have been trying to cope with the unexpected too – and it hasn’t been easy for anyone. Today, we have something to talk about. The owners of the mill, now under the name of Panorama Living Ltd (also known as Royalle Estates) have submitted a new planning application and have applied for Listed Building Consent to convert the mill into housing. The plans are similar to their previous planning application (which expired last October). They plan to convert the four-storey mill into 40 apartments, convert the weaving sheds into 8 duplex apartments, convert the old office building into a three-bedroom house, and build 20 new houses on the land behind the mill. 1. There won’t be any new-build apartments – just houses behind the mill. 2. There will be more new build houses (20 instead of 13), as these properties are more likely to sell in the current housing market. 3. 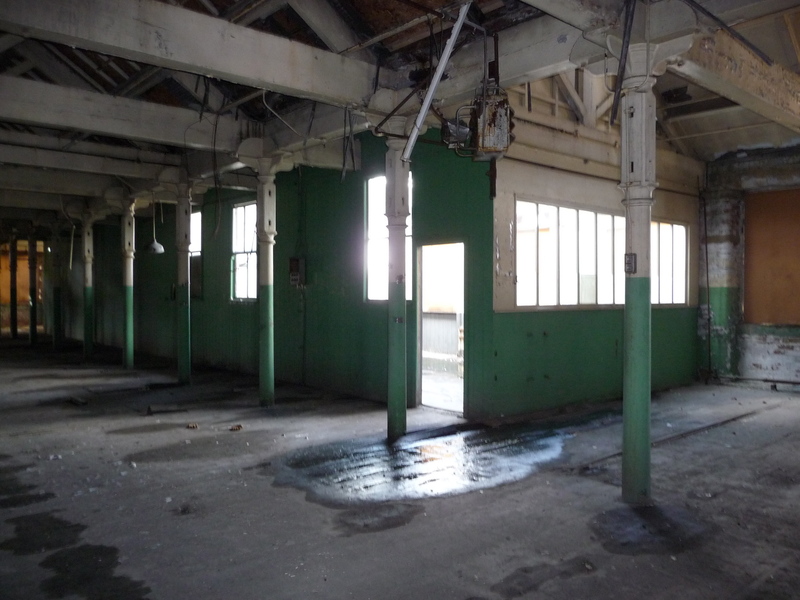 The weaving sheds will be converted into duplex (split level) apartments, instead of single-storey apartments. 4. Overall, there will be 48 apartments in the mill (instead of 45). What’s also different this time is that the owners need to apply for Listed Building Consent, which means showing things like where the cast iron columns will end up in relation to the internal walls, how the fabric of the building will be treated etc. This also means that the drawings with the planning application are more detailed this time, and there are lots of them to look at. Or you can look at the full planning application. I want to say that it’s fantastic to finally see these plans (which I first got a glimpse of over a year ago) make it into the open. This scheme is an opportunity to see all of these buildings brought back into use and to give our mill a future. However, if planning permission is granted, that will just be the start of it. There may be further delays depending on the economic climate, and there may be a lot more things to worry about once the building work gets underway. So this has to be the start of a dialogue too. We have to make our voices heard to make sure that our mill is restored sensitively – and we need to start speaking up now. Hidden in the depths of these many documents (in the Heritage statement) there is a sentence saying that “it may not be possible to restore the clock to working order”. Have a think about that for a minute. Have a think about whether you think it’s right / fair / acceptable / sensitive to the mill and its history. The mill was listed because of its special relationship to the Newsome area. Perhaps the issue of whether the clock works or not is a triviality to the owners and architects, but it means everything to the people who live here. Sometime, if we’re going to work our way out of this stalemate and if we want to avoid a great deal more distress for all concerned, a little empathy is required. A little bit of stopping to think about it. 1. The water tank on top of the clock tower will be painted black, not blue. 2. The North lights on the weaving sheds will be partly replaced with black panels. 3. The original wooden partitions will be removed completely, not re-used on site. 4. The original floor boards may be removed. I’ll be thinking about how much of the old we’re expected to give up for the new. It’s a balancing act. For example, keeping the partitions would mean that the owners could fit six fewer apartments inside the mill, with big consequences for their finances. You can see the dilemma. We need to move forwards. But the hands on the clock need to move forwards too – that’s what we are all waiting for. And if there’s a problem with fixing the clock, or with anything else, then we need to talk about it. This is a resourceful community. We’ve already recovered the stolen war memorial and are getting it restored. I know we’ll find a way to get other things done too, if it comes to it. Now is the time for talking… because none of us can afford to fall back into silence. Proposal to convert the four-storey mill into 40 apartments and 8 duplex apartments. Also to convert the office building into a single dwelling and to build 20 new town houses. Status: Application made 19th April 2010. This application was approved. Updated planning permission was given on 15th April 2013. My Grandmother (Eveline Sayles) worked at the Newsome Mill, but lived in Almondbury. As my parents lived in St John’s Avenue, not far from Ruth Street, my sister and I used to go to the Mill after school and peer through the window at my Nanna. It always looked a hive of activity. I remember my Nanna once allowing us to come inside and say hello to the other ladies. I remember seeing ‘heel’ marks on the wooden boards next to the looms, from the ladies high heel shoes. Sadly we left Newsome in 1973, but I still remain very keen on learning more about the history and the workers of the mill. The Newsome Mills campaign began on 6th November 2007 – the day that the slates were removed from the weaving shed roof. We’ve lost so much from Newsome Mill since then – through theft, vandalism and neglect. When the mill clock was stopped during Easter 2007, we were promised that it would be working again within two months. But that silence has now endured for two and a half years. I’ve spent most of that time trying to break that silence, trying to give these buildings a voice. There have been some disheartening moments – seeing the empty space on the wall where the war memorial is supposed to be, standing in the darkness and rain waiting next to the fire engines to hear news of the damage, watching rain drip through the floorboards, and seeing the last remaining intact clock face suddenly develop a gaping hole. If this building had been protected adequately, none of these things would have happened. But there have been other moments too – seeing our mill celebrated on the Look North regional news, hearing words of encouragement on the end of a phone line whilst waiting for a reporter when I’d almost lost my nerve, watching the bats over the mill pond at dusk on a summer’s evening, and seeing these buildings still standing every day, in spite of it all. The future of the Newsome Mills site is still uncertain. So I’m starting this blog to make sure that the voices of the people who live and work here continue to be heard. This mill is a big part of Newsome – past, present and future. It belongs here. Just like us. Protecting these buildings isn’t easy, but I’ll continue to do it. You can be certain of that.